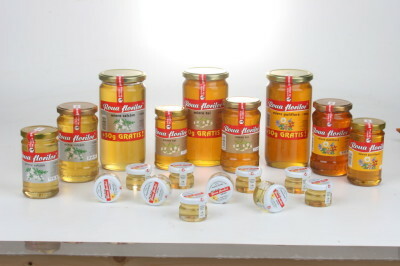 1.Glass jars of 950, 500 and 275 gr for 3 types of honey: multi-flower, acacia and linden. Packaging: foil boxes of 6 pieces. 2.Plastic packaging of 250 and 500 gr., with a special cap for honey, with drip-drop silicon valve, which prevents honey’ trickling during its usage. This type of packaging contains only: multi-flower and acacia honey. 3.Children packaging: plastic bear of 250 gr, ideal for children breakfast, filled with the finest acacia honey. Packaging: foil boxes of 2 pieces / 6 or 12 pieces.